Queen of France at 16 and widowed when she was barely 18, Mary defies pressure to remarry. Instead, she returns to her native Scotland to reclaim her rightful throne. 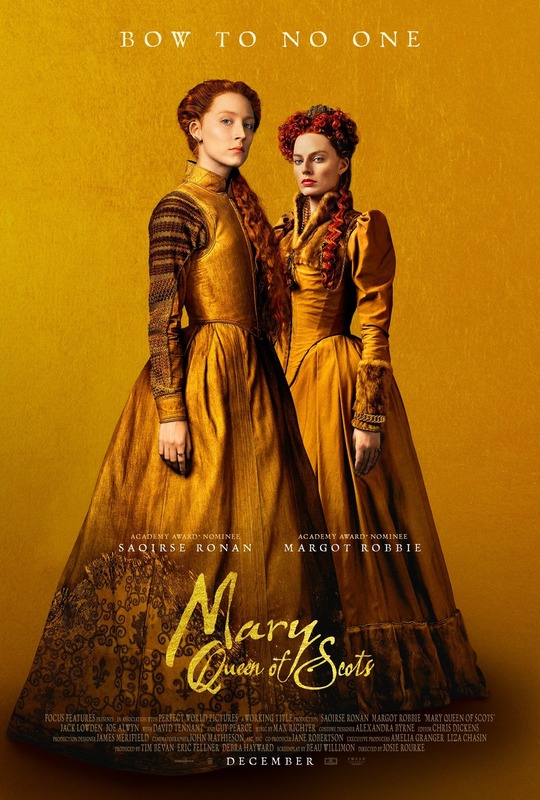 By birth, Mary has a rival claim to the throne of Elizabeth I (Margot Robbie), who rules as England’s Queen. Contrary to earlier accounts, and based on Dr. John Guy’s research, we see Mary as a capable politician and leader who wanted an alliance with her cousin Elizabeth. Mary fights to govern her unruly kingdom at a time when female monarchs are reviled as monstrous. To secure their thrones, the two Queens make very different choices about marriage and children. Mary’s reputation is under continual attack from her enemies, who construct lies about her sexual conduct. Betrayal, rebellion and conspiracies within each court imperil both Queens–driving them apart, as each woman experiences the bitter cost of power.